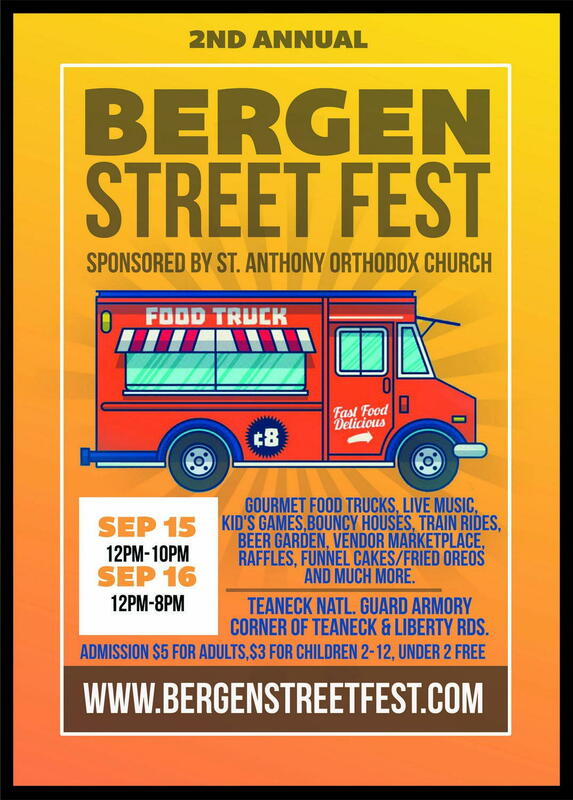 Bergen Street Fest is a Food truck and family entertainment festival which featured nearly 8000 guests in our first year, 2017. This year, we will again feature food trucks, live music, NJ’s premier coverband, No Standards, kids’ games, including a train ride and bouncy houses, as well as a Beer Garden, raffles and a huge vendor marketplace. Business and arts and crafts vendors are invited to join our event. 10×10 spaces are $100 for 2 days. 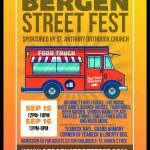 Email us for a contract at bergenstreetfest@gmail.com .